Mr. Junk is a fully licensed, insured, and environmentally considerate junk hauling company in Atlanta, Georgia. 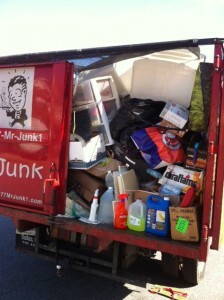 Our crew of junk removal specialists will remove junk where it is located, load it into the truck and haul it away. The Mr. Junk crew will take care of everything for you. Our goal is to get rid of the junk quickly and efficiently, recycle as much of it as possible or donate it to charity. Not only will we be helping the environment and community, but we also donate a portion of our profits to local charities.